Container planting makes gardening accessible to just about everyone. 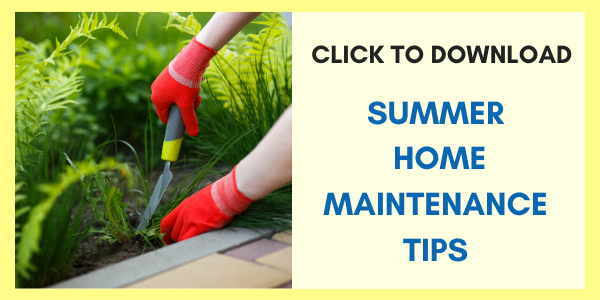 This type of gardening is especially suited to renters, those with little space for traditional gardens, and people who prefer to only grow a few favorites that bring joy year after year. For great tips on using the correct soil and sun/shade exposure, turn to a trusted company such as Bonnie Plants for all types of useful growing information. 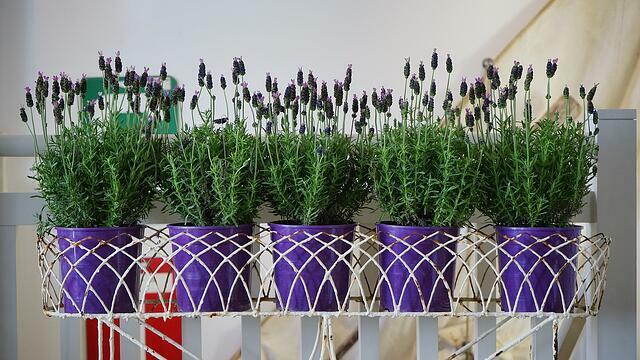 The options for the actual containers are almost as varied as the plants you’ll put in them. As long as there is adequate space to grow and enough drainage holes at the bottom, the chances for success are high. Traditional containers are typically made from pottery, plastic, cement, and coconut fiber-lined planters. Non-traditional items do have their place in a container garden, however, and usually add an extra pinch of charm or interest to the arrangements. Containers such as galvanized wash tubs, tool boxes, old ice cream buckets, and even a pair of rain boots could do the trick for the right plant. For the first timer, we can break down container gardening into two themes: Decorative and Edible. These categories will make it easier to plan the pots. Of course, there is room for crossover between the two; marigolds are both adorable and edible, while purple and green cabbages offer plenty of pretty while providing nutritional value. The combinations of both options are really only dictated by space, sunlight, and your imagination. These plants and flowers work hard to provide the atmosphere you’ll want to admire or relax in on decks and porches. As the designer, choosing the colors and varieties is entirely up to you, whether the containers are simply gorgeous alone or if they pull double duty. Using a theme of one flower or plant color, such as red, supplies striking curb appeal, especially when coordinated with the existing exterior home colors. Think of the classic look of a white house, black shutters, and a porch full of vibrant red geraniums. Strategically positioning rolling planters or stands can provide privacy, create “rooms” on a deck or patio, and camouflage eyesores like air conditioners or drain pipes. Varied sizes of the same type of container on a set of stairs offers visual interest and a cozy entrance to greet guests approaching the home. For example, small, medium, and large pottery pots line the way up to the deck in ascending order. Table top, hanging, and window planters are all options that when combined, add a layer of luxury to an outdoor space. If a tree is nearby, don’t be afraid to fix hanging containers from limbs that would enhance the area with a canopy effect. Everyone likes to eat, so the lure of simply walking onto your patio to snip fresh produce or herbs to use in a cherished family recipe is an ideal way to start an edible garden. 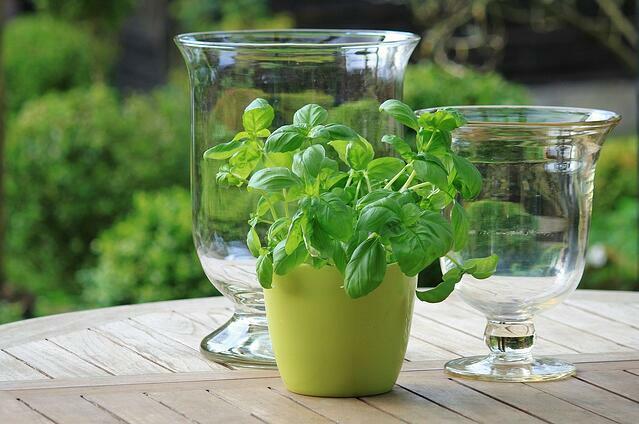 Years ago, salsa gardens led the way for trendy collections of edible potted plants. Typically, these gardens include favorite variations of tomatoes, peppers, onions, and cilantro. Some container gardeners are fond of producing their own salad gardens that grow multiple leafy greens. Varieties of lettuce, kale, and spinach make the basis of a salad easy to master. 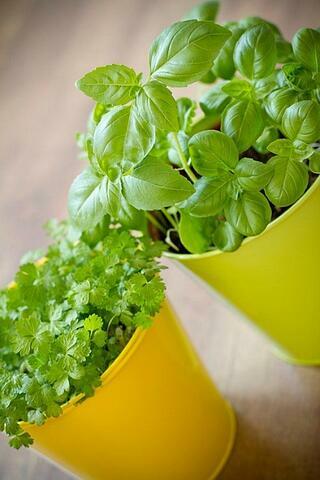 Popular herbs also feel very at home in portable containers. Choosing your favorite to plant is probably the hardest part! Harvest mint for mojitos, basil for pesto, and oregano for grill fired pizza. If citrus fruit makes you happy, The National Gardening Association suggests dwarf versions of citrus plants. They can be finicky, but it’s possible to grow fruit indoors during cool months. Although it’s exciting to plant in the spring, it can become gloomy to watch your beloveds produce crops, then wither away. So after the cherry tomatoes are gone, move onto fall/winter plants specific to your area. At the end of the season, the containers should be thoroughly washed and repaired before the next spring’s planting. Gardeners become attached to their hard earned bounty and often try to transport their perennials, houseplants, potted trees, and even annuals. The military is very particular as to how they will move yours, so read over Mary Ann Eckberg’s guide for PCSing house plants. Or, if they are just too precious, load them up in the car and seat belt them into the passenger side for safe keeping. Happy gardening!